The waters of Indonesia are at the epicenter of marine biodiversity, and the numbers are impressive: a 2,500-mile swath of islands and coral reefs home to more than 2,000 species of fish, 500-plus varieties of hard and soft coral and thousands of enigmatic invertebrates. From the weird and wonderful critters in Lembeh Strait to the graceful mantas and coral spires of Komodo and the dramatic walls of Wakatobi, the diving in Indonesia is some of the best in the world. Few places on the planet are as varied, and as packed with interesting and unusual marine life such as wunderpus, mimic octopus, flamboyant cuttlefish, pygmy seahorses, harlequin shrimp and ornate ghost pipefish. With more than 17,500 islands spread across 3,200 miles of ocean, Indonesia is not a destination that can be summed up in a few sentences. Underwater landscapes vary from region to region, ranging from prolific coral reefs and steep-sided pinnacles to sediment-covered bays best suited to macro/muck diving. Within the expanse are areas nurturing the highest number of fish and coral species on the planet, as well as some of the sport's most celebrated diving destinations, including Raja Ampat, Wakatobi, the Lembeh Straits and Komodo. Water temperatures across most of the archipelago range from the high 70s to mid 80s, with areas to the south being a few degrees cooler. In locations like Lembeh, where muck diving is the big feature, good buoyancy skills are important, and you must keep your fins away from the bottom as this will quickly stir up the sediment dropping your visibility. A reef or muck stick will help you stabilize when moving in for a closer look. Currents in most of the region are generated by tidal changes and can range from mild to strong. They seldom last for more than few hours, and may reverse at some sites. Diving at slack tide is easier, but reef colors and fish activity are best when water is moving. Northern Sulawesi is Indonesia’s muck diving capital, with Lembeh the reigning king for weird and wonderful critters. Southern Sulawesi is about reefs, with Wakatobi offering some of the most pristine and dramatic coral walls and reefs in Indonesia. Komodo offers fish-covered pinnacles, mantas and Komodo dragons, while Raja Ampat and Cenderawasih Bay have the greatest number of coral and fish species on earth. At sites like Batu Bolong and GPS Point pinnacles are swarmed by schools of dogtooth tuna and barracuda. 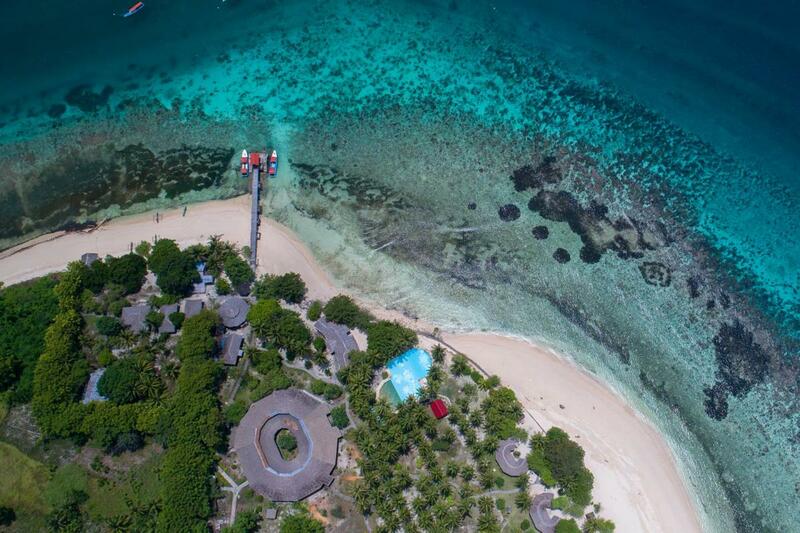 Roma at Wakatobi combines fish life with enigmatic turbinaria coral formations, while the nearby House Reef is one of the best places in the world to find crocodile fish, leaf scorpionfish, ghost and Halimeda pipefish. Mandarinfish performs intricate mating rituals in the shallow bays of Buton Island. Hiding in unremarkable mud bottoms at sites like Hairball are special finds such as frogfish, snake eels, devilfish and flamboyant cuttlefish. At the other end of the spectrum, Manta Ridge provides encounters with rays, and whale sharks gather at Cenderawasih Bay. A skin suit to 3mm wetsuit is generally adequate, but divers who get chilly might want to pack an extra layer for sites around Komodo, or for muck dives where long bottom times and inactivity can bring down core temperatures. Indonesian remains a somewhat conservative culture, so women should choose skirts that go below the knees when on land tours or visiting villages. BANDA SEA AND RAJA AMPAT(MISOOL) - DIVE THE WORLD WEEK - SAVE 25% - includes 11 Night Komodo & Flores Islands via Bali Itinerary, twin/double cabin accommodations, up to 3 dives per day, breakfast, lunch and dinner daily including 2 glasses of beer or wine with dinner, and same day transfers. Valid for departure on 5/24/19. Space is limited and subject to availability. 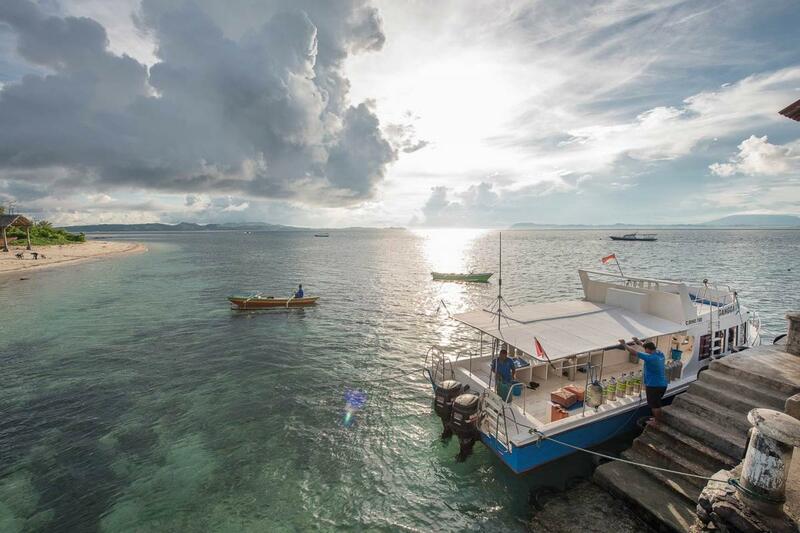 RAJA AMPAT - DIVE THE WORLD WEEK - SAVE 25% - includes 12 Night Banda Sea/Ring of Fire via Maumere Itinerary, twin/double cabin accommodations, up to 3 dives per day, breakfast, lunch and dinner daily including 2 glasses of beer or wine with dinner, and same day transfers. Valid for departure on 6/5/19. Space is limited and subject to availability. 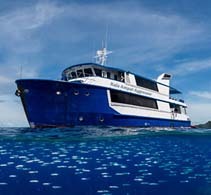 INDONESIA LIVEABOARD - SPRING AND SUMMER SAVER - SAVE UP TO $1500 PER PERSON - CALL TO BOOK, LIMITED SPACE on select 110 nights twin/double cabin accommodations, up to 4 dives per day including free Nitrox, breakfast, lunch and dinner daily, snacks and non-alcoholic beverages, and same day transfers. Valid for departures for 8/15/19 & 8/26/19. Add $406 per person for 11-night departure on 5/1/19, 5/13/19 & 5/25/19. NORTH SULAWESI - PASSPORT TO PARADISE PACKAGE includes 3 nights accommodations at Murex Manado Dive Resort, 3 days of 2-tank boat dives, welcome drink, breakfast, lunch and dinner daily, boat transfer to Murex Bangka, 3 nights accommodations, 3 days of 2-tank boat dives, welcome drink, lunch and dinner daily, boat transfer to Lembeh Resort, 3 nights accommodations, welcome drinks, lunch and dinner daily, 2 days of 2- tank boat dives, roundtrip airport transfers, hotel taxes, and service charges. Valid through 3/31/20. LEMBEH STRAIT, NORTH SULAWESI - CAPTURING CRITTERS - PHOTO WORKSHOP includes 9 nights Luxury Cottage accommodations, 22 boat dives, unlimited guided house reef dives during shop hours, free Nitrox, welcome cocktail, breakfast, lunch and dinner daily including coffee, tea and drinking water, daily in-room fruit basket and cookies, one-on-one workshop member time, daily professional seminars, complimentary 30-minute spa treatment, free WiFi, roundtrip airport transfers, hotel tax and service charges. Valid 1/11/20-1/20/20. 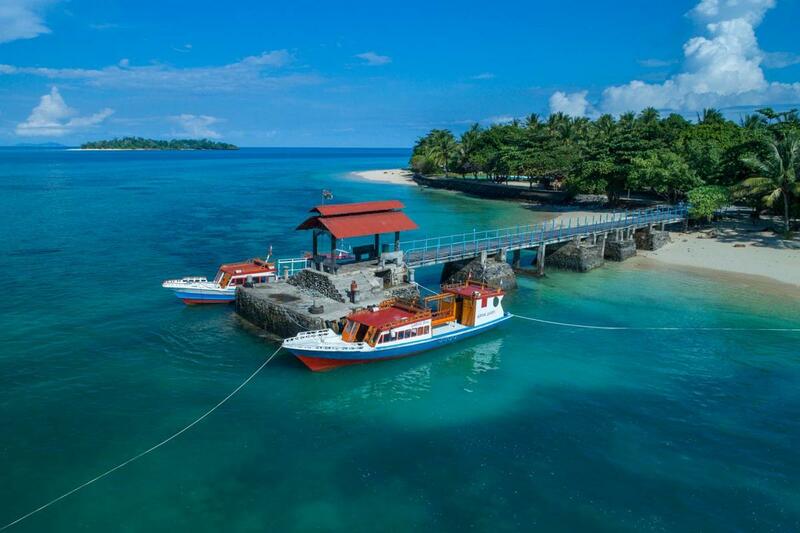 GANGGA ISLAND, NORTH SULAWESI - ONE FREE NIGHT includes 7 nights Superior Minahasa Bungalow accommodations, 12 boat dives including free Nitrox, welcome drink, breakfast, lunch and dinner daily, afternoon coffee and tea, one-hour traditional massage, hotel tax and service charges. Valid 11/1/18-12/20/18, 1/9/19-3/31/19 & 10/1/19-10/31/19. LIVEABOARD - 10 NIGHT KOMODO ITINERARY includes double/twin stateroom, unlimited diving as scheduled, free Nitrox, all meals, snacks, free local brand beer, free use of dive equipment and airport transfers in Bima. Laundry and massage services are also available. These trips sell out quickly so contact us to confirm current availability. 7-NIGHT CENDERAWASIH BAY ITINERARY - Book a cabin aboard the luxurious Damai I for an amazing week of diving this remote area of the “Bird’s Head Seascape” where whale sharks congregate around fishing platforms in only a few meters of water. Trips depart from and return to Biak in West Papua just north of Cenderawasih Bay. Price includes air-conditioned en-suite accommodations, all meals, non-alcoholic beverages, free local beer and glass of wine with dinner, unlimited diving as scheduled, land tours and activities, one spa treatment, and all government taxes. Port/harbor fees, marine park fees, Nitrox, rental gear, visa fees, laundry service, and crew gratuities not included. Dive insurance is required and travel insurance highly recommended. Repeat customers receive free Nitrox and complimentary dive equipment. 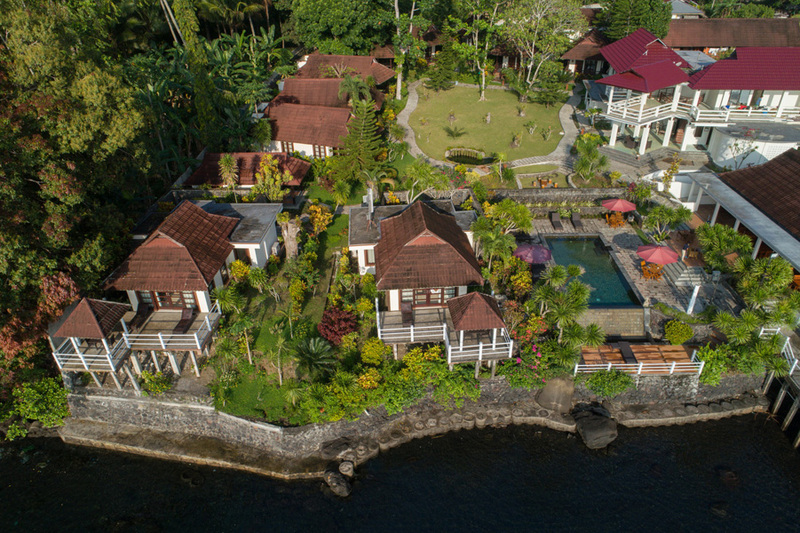 LEMBEH STRAIT, NORTH SULAWESI - DIVE PACKAGE includes 7 nights Garden Villa accommodations including 3 full meals daily,18 boat dives, airport transfers, free WiFi access, afternoon tea and snacks, tax and service charges. Additional packages also available. RAJA AMPAT - 11-NIGHT DIVE PACKAGE includes 11 nights accommodations, breakfast daily, 38 dives, complimentary Aqualung dive equipment rental, free WiFi and taxes. RAJA AMPAT - 6-NIGHT DIVE PACKAGE includes 6 nights accommodations, breakfast daily, 20 dives, complimentary Aqualung dive equipment rental, GoPro Footage from all dives, free WiFi and taxes. GANGGA ISLAND, NORTH SULAWESI - DIVE PACKAGE includes 7 night accommodations including 12 boat dives, free Nitrox, 3 meals daily, afternoon tea, welcome drink, 1-hour traditional massage, roundtrip airport transfers from Manado Airport, hotel taxes and service charges. LEMBEH STRAIT, NORTH SULAWESI - 7-NIGHT DIVE PACKAGE includes 7 nights sea-view bungalow accommodations, 6 days of 3-tank boat dives, unlimited house reef diving during shop hours, breakfast, lunch and dinner daily, coffee, tea and water, roundtrip airport transfers, hotel tax and service charges. LEMBEH STRAIT, NORTH SULAWESI - 7 NIGHT DIVE PACKAGE includes 7 nights beachfront cottage accommodations, 6 days of 3-tank boat dives, unlimited house reef diving during shop hours, breakfast, lunch and dinner daily, free WiFi, roundtrip airport transfers, hotel tax and service charges. LEMBEH STRAIT, NORTH SULAWESI - DIVE PACKAGE includes 7 nights, 17 boat dives, 3 meals daily and airport transfers. Additional packages also available. LEMBEH STRAIT, NORTH SULAWESI - Set in vibrant tropical gardens perched right above the water’s edge, directly overlooking the water and facing the island Pulau Lembeh, which lies across the Straits. 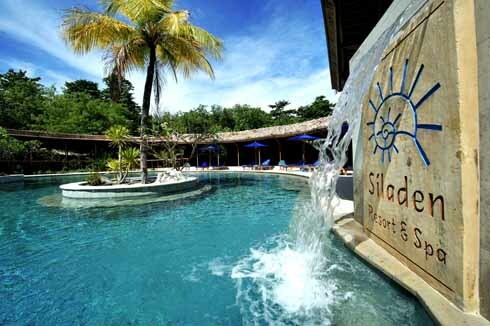 The resort is designed for guests to enjoy the exclusivity and privacy of the natural landscape. The resort welcomes guests with 24 spacious and well-appointed villas and rooms, all designed with a traditional Minahasan accent/decor. Four main categories of accommodation to choose from, Garden-View (8 with partial sea view), two sea-front villas and 14 deluxe rooms (6 with full sea views). Ranging from 376 to 753 sqm the villas cater to the needs of different travelers. BUNAKEN NATIONAL MARINE PARK, NORTH SULAWESI - Located in the heart of the world-renowned Bunaken National Marine Park, on a lush tropical island, this boutique resort offers 16 elegantly furnished villas, a full service PADI diving center, special camera area for photographers, gourmet restaurant, traditional spa, gift shop, lounge bar, large salt water swimming pool and a long stretch of white coral beach. BANGKA ISLAND, NORTH SULAWESI - Murex Bangka is a 60 minute car journey and 20 minute boat ride from Manado International Airport. Murex Bangka offers airport pickups in private air-conditioned vehicles. With Bangka Island’s world famous dive sites just minutes from the resort, Murex Bangka is ideally positioned for exploring this phenomenal area. 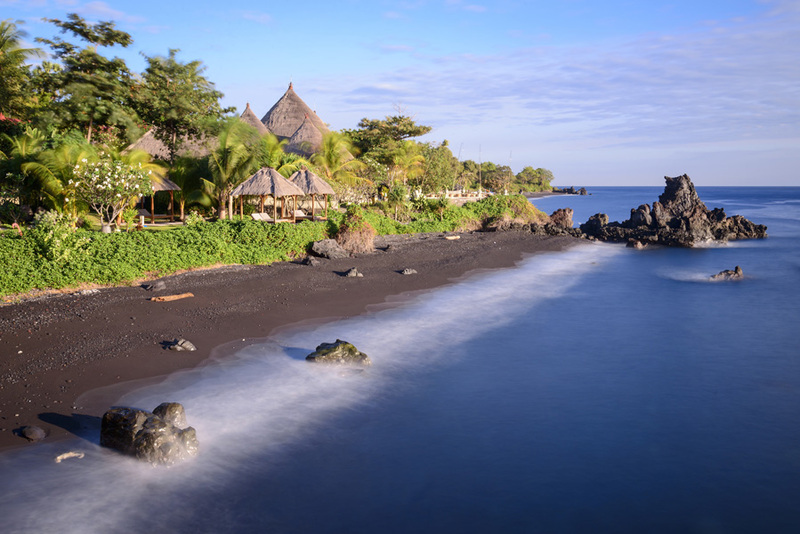 BALI - alamBatu Beach Bungalow Resort, located in north-eastern Bali, has everything to get divers' hearts beating a little faster – a dream destination for novice divers and professional photographers alike. Countless thrilling coral and muck dive sites in the vicinity offer unique diversity. Reach all the dive sites in no more than 20 minutes on one of thefast boats. The house reef, a full 800 meters long, also features exceptional beauty and variety with impressive biodiversity. "Small is beautiful": that's the motto at this resort, which accommodates no more than 30 guests. You can choose from various villas and bungalows where tasteful luxury is the keynote. A modern dive base with a camera room caters to all requirements, and PADI courses from Open Water to Divemaster are available. RAJA AMPAT - Modern, simple, clean, and air conditioned, so much more than you could imagine. . From the modern uncluttered comfort of extremely well designed boutique hotel rooms to the beautiful, custom made Lintea Mare linens, you will experience your dive vacation in a way you will remember forever. The entire operation is set up to focus on the three important components of dive holidays. High-tech, ultra-reliable equipment and transport to and from scuba dive sites. The perfect dive site every time in consideration to tidal streams and environmental conditions. Modern, simple, clean accommodation with an exceptional on-site food and beverage program. MANADO, NORTH SULAWESI - Murex Manado is located one hour from Manado International Airport. Murex Manado offers airport pickups in private air-conditioned vehicles. With the world famous dive sites of the Bunaken Marine Park just a short boat ride away and Manado Bay muck diving sites even closer Murex is perfectly located for exploring these two diverse areas. 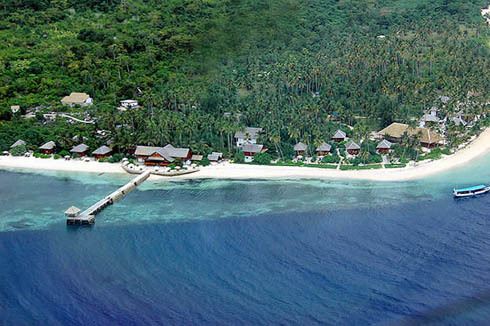 ALOR - Alami Alor Dive Resort is a dive and stay resort in Alor, Indonesia. Alor is home to many world class scuba dive sites including coral reefs full of colourful macro life, big fish sites where there is a chance to encounter passing pelagic and larger reef fish, and muck diving sites with an assortment of bizarre critters including the infamous rhinopias. The resort’s house reef entertains muck diving enthusiasts and we can count over 40 additional diverse dive sites within a 30-minute radius by speedboat. Underwater photographers can enjoy the best of both worlds with sites suited for macro shots of rare critters to those with exceptional wide-angle seascapes. LEMBEH STRAIT, NORTH SULAWESI - Hairball Dive Resort gets its name from one of Lembeh Strait's most renowned muck dive sites, "Hairball" which serves as the resort's house reef. Lembeh Strait is a true photographer's paradise, and the owners and staff of Dive Into Lembeh @ Hairball Dive Resort have created this small intimate resort with the photographer in mind. 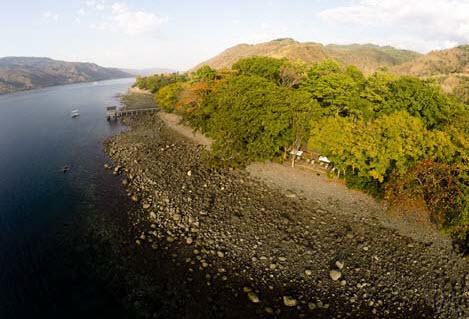 GANGGA ISLAND, NORTH SULAWESI - An unparalleled scuba diving experience is waiting for you at Gangga. Gangga offers sensational diving where you can get up close and personal with diverse and remarkable sea life from both the Indian and the Pacific Oceans. 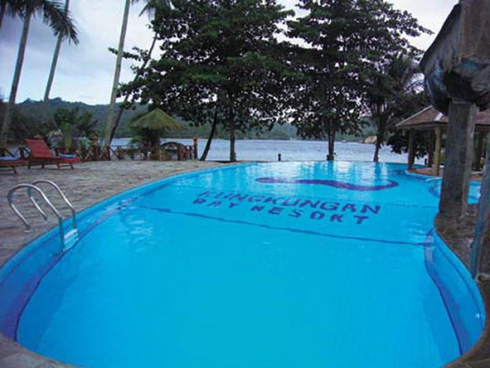 The resort is an ideal starting point for the diving sites of Bangka Island, Bunaken National Marine Park and Lembeh Strait, making it a favorite destination for underwater photographers. 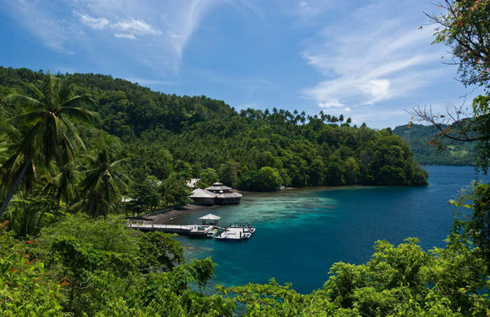 BANDA SEA, SOUTH SULAWESI - Reached via private air charter from Bali, this award-winning resort provides access to incredible dive sites including unlimited shore diving on a spectacular house reef. Indulge in massages, relax on the beach, and savor fantastic, fresh meals. 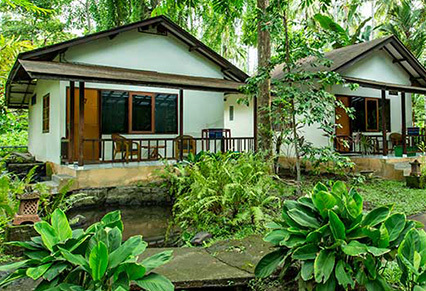 Air-conditioned bungalows are either set in tropical gardens or beachside with fans, minibar, and internet access. Suites with private chef/butler are also available. LEMBEH STRAIT, NORTH SULAWESI - Scuba diving in Indonesia is the dive trip of a lifetime. 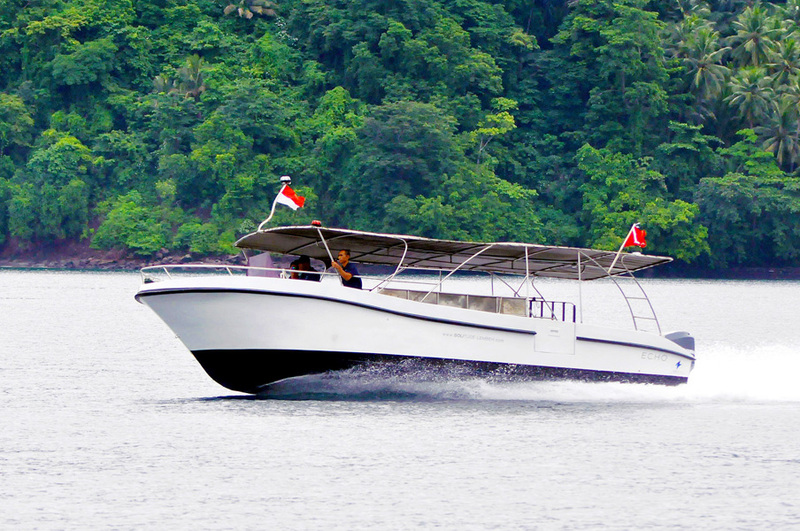 The Lembeh Strait is renowned as being the planet’s epicenter of marine biodiversity. Home to rare species such as the pygmy seahorse, mimic octopus, ornate ghost pipefish, hairy frogfish and more, the exceptional year-round conditions provide a variety of diving experiences from muck dives on black volcanic sand to colorful reefs and historic wrecks. LEMBEH STRAIT, NORTH SULAWESI - Lembeh Strait is the mecca of critter diving, with more than 40 dive sites showcasing the biodiversity that Indonesia is famous for. 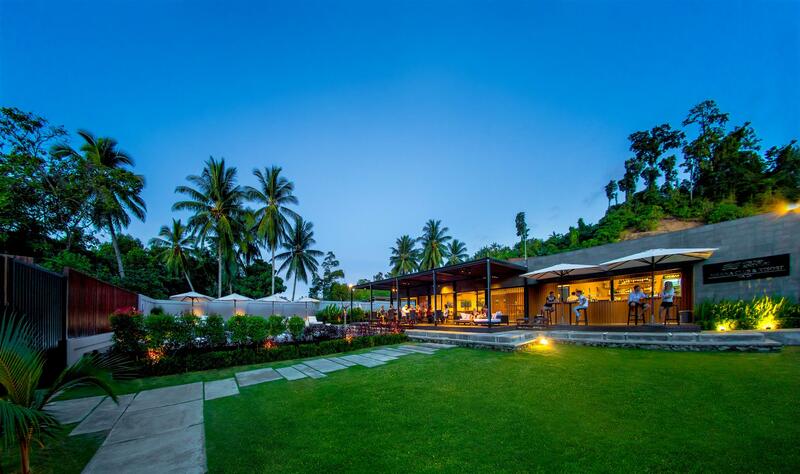 The resort offers 14 spacious ocean view cottages with perfect views and spectacular sunsets over North Sulawesi’s highest volcano or 6 garden view rooms nestled in beautifully manicured indigenous gardens. In addition to modern room amenities, spa treatments and WiFi are available. 15 night Bio-Diversity Special (Maumere-Alor-Banda Sea-Raja Ampat) itinerary including 3 meals daily and up to 48-50 dives as scheduled. Valid 11/24/19 and 11/29/20 departures. Limited Space. 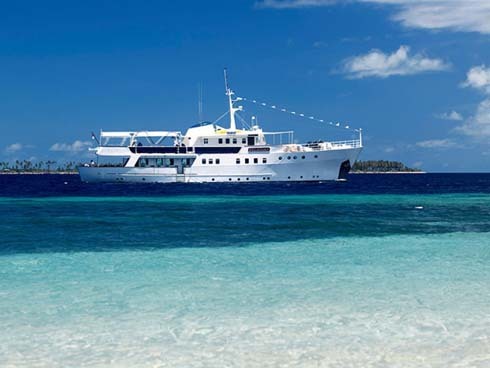 LIVEABOARD - 11 nights Twin Cabin Forgotten Islands - Kai Islands and Tanimbar Islands via Maumere itinerary including all meals and unlimited diving. 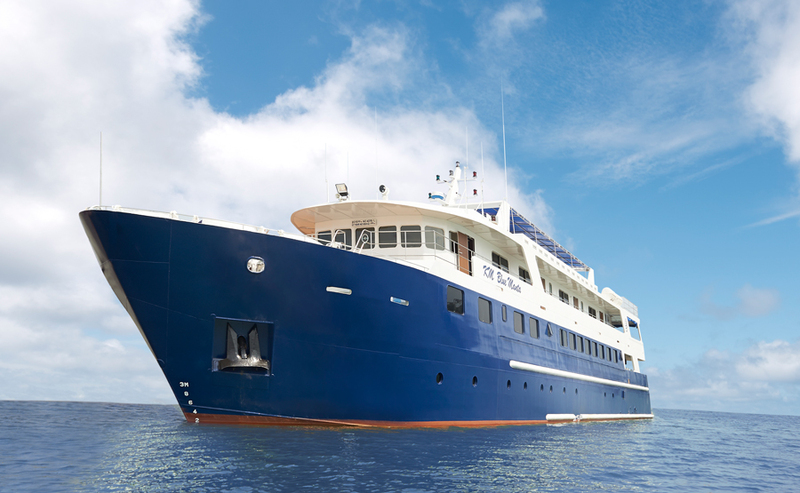 Your Liveaboard diving adventure aboard the Blue Manta Explorer in Indonesia will take you through the Coral Triangle, which boasts the world's highest marine biodiversity and offers extraordinary diving. This region is a mecca, from the rich plankton waters of the Komodo Islands to the stunning and remote mushroom shaped islands of Raja Ampat, the diving opportunities are limitless. With over 3,000 fish species and 600 species of coral, steep walls, deep water trenches, underwater volcanic mountains, World War II wrecks and an infinite variety of macro life, scuba diving Indonesia is outstanding. The Banda Sea, Sulawesi (Celebes) Sea, Bali Sea and Flores Sea has some of the best diving opportunities in this extensive underwater paradise. 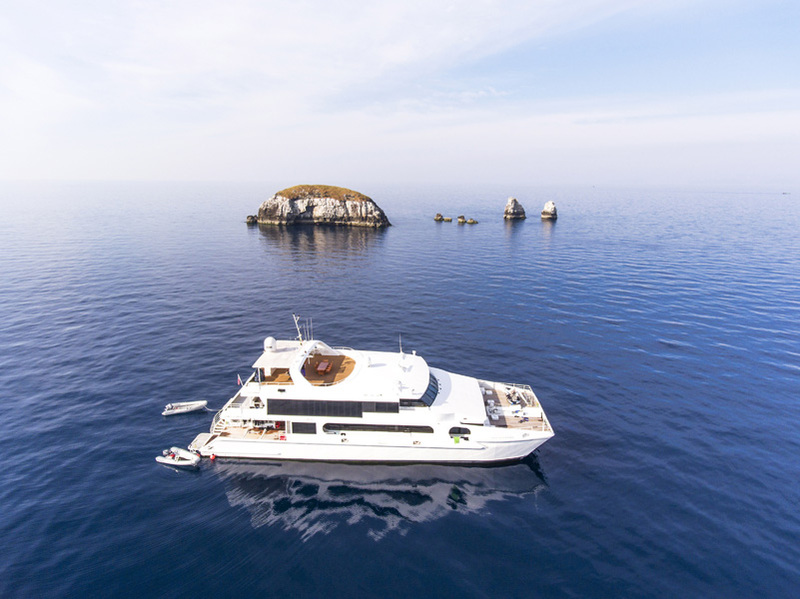 The newest addition to the Solitude Liveaboard & Resorts family, Solitude Adventurer is a 36-metre aluminum catamaran vessel that focuses on dive trips around the Indonesian region. Solitude Adventurer can accommodate up to 18 guests, and has plenty of features to make sure everyone onboard feels safe and comfortable, whether they’re getting ready for a dive or lounging around during surface intervals. 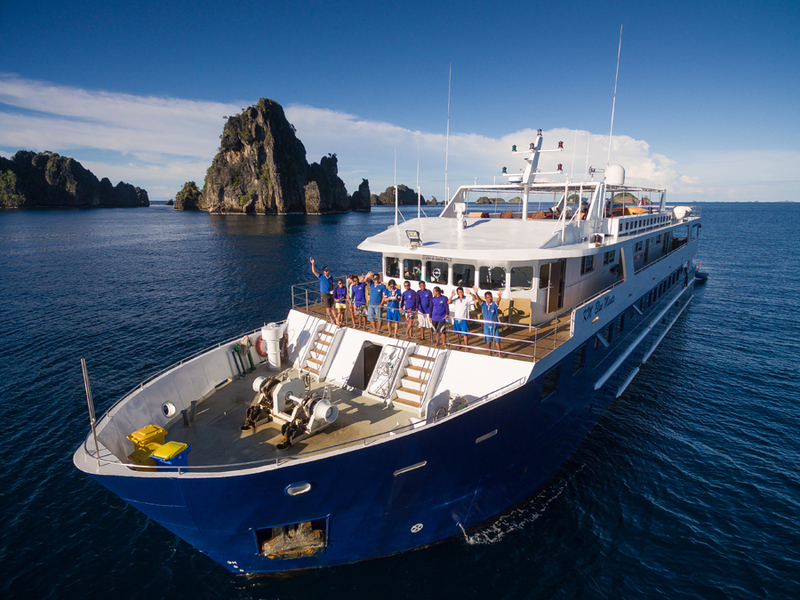 Your Liveaboard diving adventure aboard the Raja Manta Explorer in Indonesia will take you through the Coral Triangle, which boasts the world’s highest marine biodiversity and offers extraordinary diving. This region is a mecca, from the rich plankton waters of the Komodo Islands to the stunning and remote mushroom shaped islands of Raja Ampat, the diving opportunities are limitless. With over 3,000 fish species and 600 species of coral, steep walls, deep water trenches, underwater volcanic mountains, World War II wrecks and an infinite variety of macro life, scuba diving Indonesia is outstanding. The Banda Sea, Sulawesi (Celebes) Sea, Bali Sea and Flores Sea has some of the best diving opportunities in this extensive underwater paradise. DERAWAN ISLANDS - The Derawan Islands (Kepulauan Derawan) are located off the eastern coast of Borneo (East Kalimantan Province) in Indonesia, in the famous Celebes Sea. Derawan is an archipelago with the main islands being Derawan, Maratua, Kakaban and Sangalaki, forming small and remote atolls with sandy banks. Part of the Coral Triangle featuring reef fish, coral, and invertebrates, including giant clam species, sea turtles, coconut crab, etc. Abundant marine life with a variety of coral reef dives, caves, walls and lagoons, including a jellyfish lake visit. See sharks, schooling barracudas, mantas, whale sharks and macro life. Derawan also contains the largest green turtle nesting site in Indonesia, making dives with turtles quite common. LIVEABOARD - Package includes 10 nights accommodations; up to 4 dives daily (weather and itinerary permitting); 3 meals daily, snacks, hot beverages, coffee, tea, Milo, towel, toiletries, cabin services, etc. ; Roundtrip transfers from local airport or select hotels (Bali hotels excluded). Diving Komodo, Raja Ampat, Alor, Ambon with Mermaid Liveaboards offers the opportunity to dive Indonesia’s best dive sites. Whatever trip you choose, be prepared for some of the best scuba diving Indonesia has to offer. The luxurious MV Mermaid I offers all amenities you can dream of. All 8 cabins are fully air-conditioned and equipped with TV & DVD player, single, twin or double bed, a large wardrobe, plenty of storage room and an en-suite bath room with hot water shower, toilet and sink. 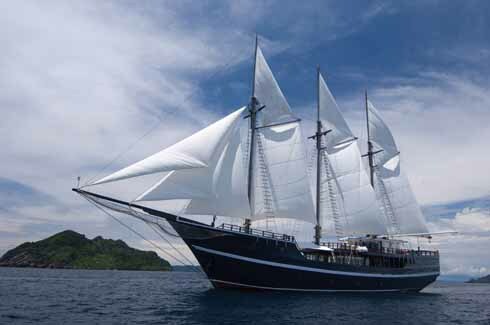 The Dewi Nusantara was purposely designed to be totally independent for long periods at sea while offering unparalleled comfort. The Dewi offers eight spacious air-conditioned ensuite staterooms that can be adapted to either twin or double use plus an expansive master suite. LIVEABOARD - The beautiful Indo Aggressor crafted 124-foot sailing schooner offering unique 7-night itineraries including the epic diving in Komodo National Park, named one of the Seven New Wonders of the World and home to more than 1,000 species of fish, 20 species of reef-building coral and 70 species of sponges. Also included is a trek to view the world’s largest land reptile, the Komodo dragon. Contact us for additional information on 10-night itineraries which venture west to the pristine waters of the Alor archipelago, or east to Sumbawa and the magical island of Bali. 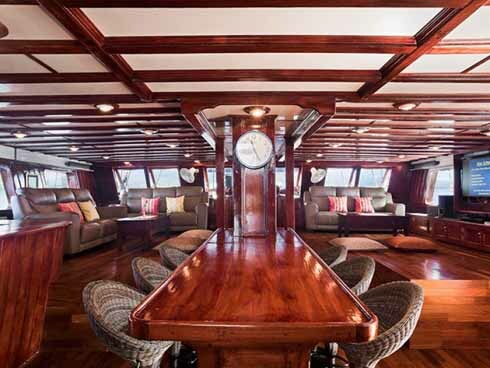 LIVEABOARD - This handcrafted ironwood and teak liveaboard can accommodate 16 passengers in eight spacious air-conditioned, ensuite cabins with personal audio-visual entertainment systems. A variety of itineraries are available including Raja Ampat (November-May) and Komodo (June-October). 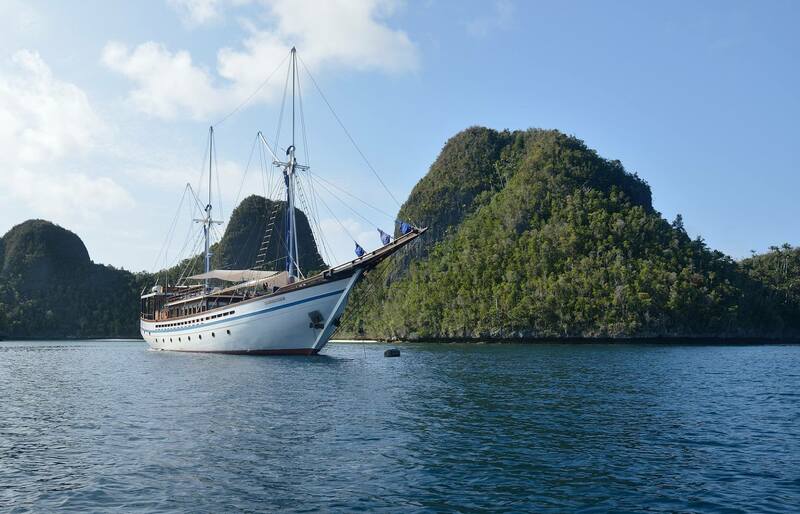 Click below for more information on the Indo Siren's 10-night Raja Ampat departures. See separate listing for 10-night Komodo departures. These trips sell out quickly so contact us to confirm current availability. 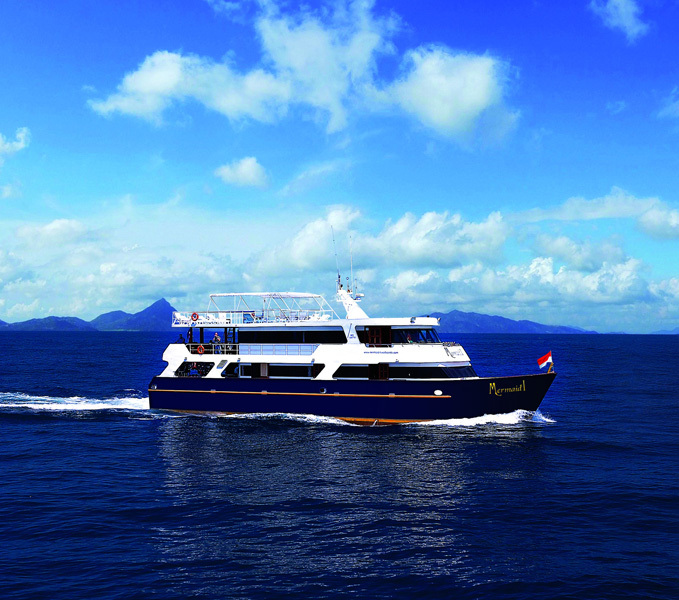 Dive Damai’s two liveaboards, the Damai I and Damai II, have set a new standard in liveaboard diving. The vessels were purpose-designed for divers with elegant lines, luxurious interiors and spectacular outdoor lounging areas. Itineraries throughout Raja Ampat, Komodo, and the Banda Sea. These trips sell out quickly contact us to confirm current availability on select departures or any additional itineraries, dates and rates. 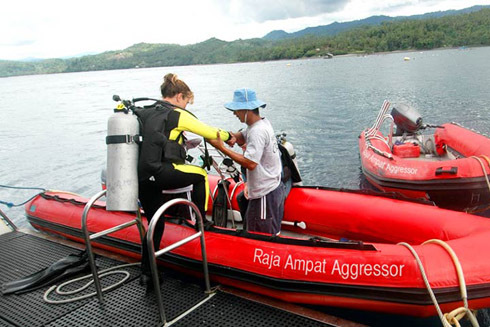 RAJA AMPAT - If you haven’t experienced the diving in Raja Ampat, now is the time to jump on board the newest boat in the Aggressor Fleet, the Raja Ampat Aggressor. Raja Ampat or ‘Four Kings’, is the name given to these islands and comes from a local myth. Located in the heart of The Coral Triangle, Raja Ampat is known to have the richest coral reef ecosystem in the world. The four main areas offering itineraries are: Raja Ampat, Cenderawasih Bay, Banda Sea and Triton Bay. 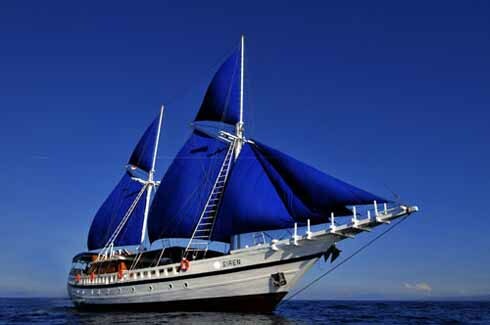 The Arenui dive liveaboard is a magnificent Phinisi, a classic Indonesian wooden sailing vessel, set to explore the majestic underwater world of the Indonesian archipelago. 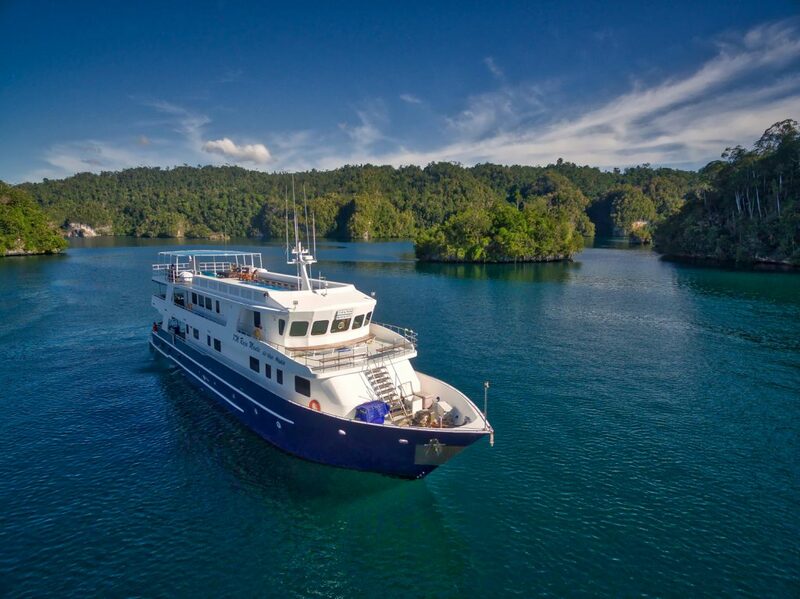 This popular liveaboard offers a wide variety of itineraries including Raja Ampat and Komodo, but has very limited availability, so cannot be booked online. Please contact us for available dates and rates. Straddling the Equator and stretching more than 3,200 miles from east to west, Indonesia is a country of more than 17,500 islands. From this vast array of coastlines, a select number of areas have emerged as favorites among divers. 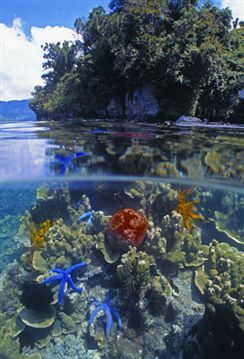 This area, east of Malaysia and west of Papua New Guinea, is at the epicenter of our planet's marine biodiversity. From the weird and wonderful critters in Lembeh Strait to the graceful mantas and incredible coral gardens of Komodo, the diving in Indonesia is some of the best in the world. Few places on the planet are as varied and give you the opportunity to see more diverse underwater flora and fauna including more than 2,000 species of fish, from car-sized whale sharks to pygmy seahorses smaller than a grain of rice. There are reef slopes, drop offs, plateaus, caves, wrecks and muck diving sites. Northern Sulawesi is Indonesia’s muck diving capital, with Lembeh the reigning king for weird and wonderful critters. If you are looking for subjects like the endemic Banggai cardinalfish to the amazing mimic octopus and wunderpus this is the place to find them. And the cast of critters does not end there, Lembeh also features lacy scorpionfish, flamboyant cuttlefish, harlequin shrimp, as well as some of the wildest species of nudibranchs known to man. In Southern Sulawesi, the focus shifts to reefs, with the Wakatobi region offering some of the finest coral formations in the Indonesia. Here, vertical escarpments that begin their drop mere feet from the surface straight down hundreds of feet into the depths. To the east, off the tip of West Papua, the tip of the islands of Raja Ampat offer stunning topside profiles and near-pristine reefs that harbor the world's greatest number of fish species in one location. Divers often tally more than 200 species on a single dive. Some liveaboard itineraries also venture into Triton Bay, which is known for extensive soft coral coverage, vast forests of black coral, big schools of fish, epaulette sharks, pilot whales and more. Recently, divers have also discovered Cenderawasih Bay, where whale sharks congregate. Indonesia's other prime liveaboard destination is the Komodo region, where divers can choose between calm reefs and coral-covered pinnacles that attract large schools of fish, with a good chance of mantas and sharks, plus land visits to see Komodo dragons. Other liveaboard itineraries may take in remote sites in the Banda Islands, known for dense fish populations and pelagic sightings, and Alor for macro life and benthic diversity. Because most Indonesian dive trips begin and end at Bali, many travelers add a few days to their itinerary to explore the reefs and walls around the island. A favorite dive is the USS Liberty Wreck, which has the distinction of being the only ship in the world sunk by a lava flow. U.S. citizens require a valid passport to enter Indonesia. The passport must be valid for 6 months beyond the date of entry into the country. Two blank pages are required for the endorsement page stamp upon entry, which is a full-page stamp. This stamp acts as your visa which is valid for a 30-day stay for tourists. There is no charge for the stamp. There is a departure tax of 200,000 IDR approximately $16 U.S. which is paid at the airport upon departure. There are no immunizations required by the Indonesian government. Please, check with your doctor or visit the website of the Center for Disease Control at www.cdc.gov for a listing of immunizations recommended for travel to Indonesia. Indonesia is a nation of islands, and of blended cultures. Centuries of maritime trade have spread influences of Indian and the Far East, but individual island groups have also developed their own traditions and languages. The region is home to more that 300 distinct native ethnic groups, and 742 different languages and dialects. One trait that is common to all of these disparate communities is a tradition of hospitality and acceptance for travelers. The attentive service lavished on guests of resorts and liveaboards is not an affectation, but an integral element of a national psyche that take pride in playing the welcoming host. Equally apparent is a sense of tolerance, which allows the traditions of Hinduism, Buddhism, Confucianism, Islam and Christianity to co-exist. Indonesia is also a land of contrasts. Jakarta's steel and glass towers soar to heights of more than 1,000 feet in one of the most modern commercial centers in the region. A thousand miles away, islanders living in traditional villages still observe local traditions of ancestor worship and animism such as Kebatinan. And then there is the food. Indonesian cuisines are among the most vibrant and flavorful in the world, mixing intense spices and subtle overtones that draw from the culinary traditions of India, Holland, the Middle East, China, southeast Asia, Polynesia and Melanesia. Equally savory is the lively street food scene, where the rich aromas of bakso or gila fill the air. Electrical current is 230 volts, 50 Hz. The standard outlet is a two pin round socket. If your appliance is not labeled 100-240 Volt, 50-60 Hz input, you may need a step down transformer as well. Check with your cell phone provider for international plans which may include text, data and voice. WiFi is available at most hotels, restaurants and cafes. The internet speed is slower, so in some cases, streaming and large file transfers might not be an option. Tap water in Indonesia is largely not safe for drinking. Sealed bottled water is advisable and available for purchase. The official language is Indonesian Bahasa. English is widely understood and tourist resorts. There are over 300 languages spoken in Indonesia, with most Indonesians being bilingual in their local dialect as well as Bahasa Indonesia. Many Indonesians are multi lingual, also speaking English, Chinese and Japanese. The currency is the Indonesian Rupiah (IDR) or recognized locally as Rp. Money may be exchanged at money changer offices which usually offer the best rate, with banks offering the next best rate and exchanging at hotels is often not the best rate. Money changers prefer newer undamaged bills and may refuse damaged currency. ATMs are available and credit cards are accepted at most resorts. Traveler's checks are not recommended. Indonesia spans three time zones. Western Indonesia Time called Waktu Indonesia Time (WIB) including Java, Jakarta and Sumatra are 7 hours ahead of Greenwich Mean Time (+7 GMT). Central Indonesian Time or Waktu Indonesia Tengah (WITA) including Bali, Sulawesi and Lombok are 8 hours ahead of Greenwich Mean Time (+8 GMT). Eastern Indonesian Time or Waktu Indonesia Timur (WIT) including Irian Jaya is 9 hours ahead of Greenwich Mean Time (+ GMT). Indonesia does not observe daylight savings time. The Republic of Indonesia is a nation of islands in southeast Asia that lies between the Indian and Pacific Ocean. The name Indonesia is derived from the Greek words “indus” (India) and “nesos” (islands) and is the world's largest archipelagic nation with over 18,000 islands. 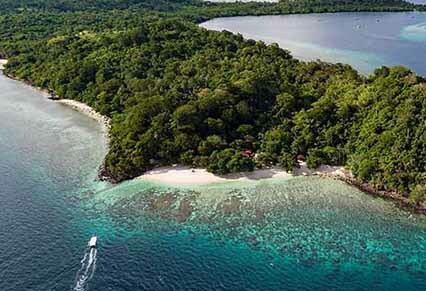 It is bordered by the nations of Papua New Guinea, East Timor, and Malaysia and encompasses over 735,000 sq miles. Approx. 260 Million people (2016).